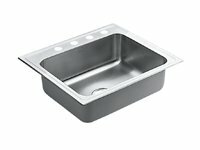 FrankeUSA stainless steel sinks are easy to install and come in a variety of sizes. 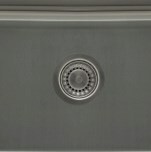 Our sinks are loaded with features that will make a FrankeUSA sink a perfect addition to your dream kitchen. 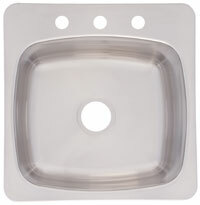 We are one of America's largest sink manufacturers. A company where technology dominates in the production and manufacture of sinks. 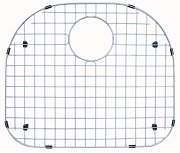 Through the utilization of a patented process, unique design features are combined with high quality standards, high utility with its no-weld manufacturing technique, extra deep bowls, and smoother polished finishes. and direction. While many things have changed, there's one thing that remains constant…our steadfast commitment to serving our customers. Bowl Size: 16" x 18"
Overall Dimension: 20 9/16" x 20 1/8"